I post the guys all the time, but only because they have the best content of any Christian Metal out there. This song is taken/based on a quote from the puritan John Flavel. See the quote below, watch the video, listen to the song, and think (maybe even ponder) and the bargain that Christ made for us. He took on our debts, our sins, and trespasses, and paid them all, paid them in full; with his blood. He drank the cup of God’s wrath, that we would have everlasting life. Today, on Good Friday, we commemorate His death, His propitiation of our sins, that we me be seen as blameless before God. His death was the substitutionary atonement for our sins. He took our place, so that we can have a place with Him, as adopted sons and daughters of God. Reflect on this tomorrow, as we await the commemoration of the resurrection and think of the hope we have. The Works of John Flavel, Vol.1, “A Display of Christ in His Essential and Mediatorial Glory”, 42 Sermons, Sermon Number 3, “The Covenant of Redemption between the Father and the Redeemer”, Use 6. This is the the third book in the series, check out my reviews for the first two books – Hyperion and Fall of Hyperion. Almost 300 years after the Fall of Hyperion, we do not know the fate of the Pilgrims, and apparently never will. 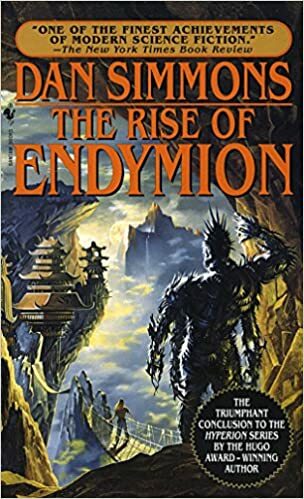 This story focuses in a young man, Rual Endymion, who, after being convicted of murder, is sent on a quest to rescue a young girl from the Time Tombs, destroy the Pax, stop the TechnoCore, find Earth, and then reunite the old man with the girl to see Earth again. The story is written from the perspective of Rual, who has already been caught, tried, and sentenced by the Pax. He recounts the story from his imprisonment. The memoir style adventure includes rescuing the girl, escaping Hyperion, and running from the Pax by sailing down the old Hegemony river through multiple worlds, before the book ends half way through their journey. The opening page starts with the statement of reasons why not to read this book. Included among them was to find out what happened to the Pilgrims, that is to say, if you want to read a sequel to Hyperion and Fall of Hyperion. My first thought was, what the hell? that is exactly why I bought this book, and its sequel. In many ways, this is not really a sequel to those previous books. It is more a completely new story, but that is built in the same world as the prior, but only relates in that the world(galaxy) has changed and it was all due to what happened in the prior books. So, in that way, it is a little frustrating. However, it is still a great story, once you sift your mind away from the previous books in the Cantos. Like the previous books, it is written with quick, engaging action and solid, relatable characters. 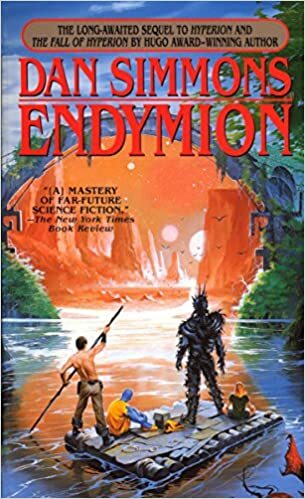 While the prior books were an ensemble cast, this one is mostly on Endymion, especially as he serves as the narrator, but there are several other characters on which the book focuses, that are not directly in his orbit. Again, Simmons uses varies story threads, one chapter focusing on Endymion, then the next one of their pursuers, then the next yet another antagonist, then back to him in the next. Overall, if you like sci-fi you are going to enjoy this book. If you have read the previous two, you could probably pick it up. Simmons writes the book with references to the prior books, but has Endymion or other characters explain bits (or expand and create new aspects that didn’t exist), almost as if they are trying to remember. Even without reading the Cantos so far, this book is one to put on your list, but if you’ve already read them and are familiar with the universe, it is a must read. This particular book leaves too much hanging, leaving feeling a little wanting, but the final book in the series ties (to some extent) it all back together. So, read this one, then finish the Cantos and you’ll have gone through one of the great, especially for how little known, works of far future science fiction out there. Pretty self-explanatory; Reinke lays out 12 ways he believes your smart phone (and social media) are impacting you. The book is, unsurprisingly, broken into 12 chapters – addicted to distraction, ignore flesh and blood, crave immediate approval, lose our literacy, feed on the produced, become what we ‘like’, get lonely, get comfortable in secret vices, lose meaning, fear missing out, become harsh to one another, lose our place in time. There is also a preface and an intro called ‘theology of technology’, as well as a conclusion on how to live with a smart phone and an epilogue. I was torn on exactly how to rate this book, it is one of those times where I’d like to give a 4.5, but ultimately, if you haven’t read anything about the impacts of smart phones/social media or you haven’t read about those impacts from Christian perspective, I think then it is a must read. If you’ve read a few of these, it is worth putting on your list. Overall, Reinke has given us a broad survey into the issues with technology/social media. The strongest aspect of the book is that he himself is a big advocate and user of technology. So, you have someone who is appreciates and enjoys the different media (though, somewhat amusingly, he doesn’t appear to know the origins of Snapchat), who also understand the dangers, while not wanting to let it go. I appreciate his honesty and preservative in that way. The book is a good way to get a taste of the issues. Reading it, you might be left feeling a little wanting, as almost every chapter could be it’s own book. As I mentioned, it is broadly researched and he pulls from many sources and people. I had not heard of some of the ‘Instagram models’ who quit and pulled away. I’ve seen the research on how often people check their phone and the impact of Facebook on happiness and well being, but I had seen a response or commentary on these impacts from a distinctly Christian viewpoint. I found much of the book to be fascinating, but I have to confess that I viewed much of it as an outsider. I’ve never been on Facebook (despite being in college when it started, when it was only for college students), I occasionally use twitter, and I still don’t really understand the point of Instagram. I also dislike starting at a glowing blue screen, and really only carry a phone when Mrs. MMT insists. However, the friend from whom I borrowed this book found it impactful and Mrs. MMT is actually attempting to modify some of her habits after reading. 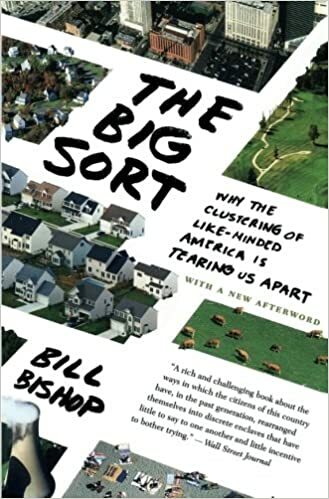 While I couldn’t always relate, I do empathize with people who struggle in the ways depicted in this book and the book finishes strongly with suggestions on how to live with your smart phone and social media. I think the practical tips could be of value to many people. 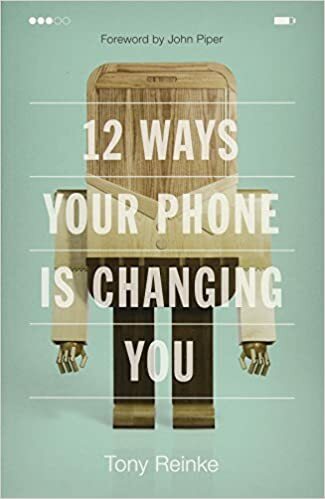 Realistically, if you have ever wondered if you use your phone/social media too much, or if it is negatively effecting you, then it probably is and for you this might be a book to add to your list or a must read. The subtitle is a pretty good summary of the focus of the book. Our technology is being developed at high levels to keep us coming back. However, it seems more of the book is focused on behavioral addiction as a whole than on technology specifically. I think this tactic actually makes pretty good sense, because of the popular conception of the word ‘addictive.’ Obviously, you won’t go into withdrawal from technology, the way you would from cocaine, however, when used, both ignite the same part of your brain. The book is broken into three parts – What is behavioral addiction and where did it come from, the ingredients of behavioral addiction (or, how to engineer an addictive experience), and the future of behavioral addiction (and some solutions). The first and last part have three chapters each, while the middle has six. There is also a prologue and epilogue. As I mentioned above, the subtitle (likely written by an editor) focuses on technology, while the book (just look at the part and chapter names) is more focused on behavioral addictions and what they are, and then how smart phones/tablets/computers and social media/actual media/apps/games effect people. In some cases the companies themselves are aware of behavioral addictions and how they work and actively employ them. Alter starts the book with the damning contrast in the 90 minute speech by Steve Jobs about the greatness of the iPad and then his biographer learning that he does not allow his kids to have one. The book has multiple examples of what the technology addiction looks like, but I’ll just point our a few here. Maybe the most pivotal one in history was the addition of the ‘like’ button on Facebook. This is what led to the massive growth of what used to be called social networking, now called ‘media’. Obviously, people are starting to learn more and more about the dangers of Facebook in particular, with their tailored news that almost helps grow ideas that are false and certainly promotes things that are more combative. When people see likes, it is a dopamine hit, the same as cocaine. It’s also a good reminder that when a ‘product’ is ‘free’, then really you are the product and they make money selling you. I could go on with that, but I want to point out two other milestones – Netflix and the automatic playing of the next show, and the ‘endless’ scroll. I remember, years ago now, all of sudden everyone was talking about ‘binge-watching’ TV shows. It became so popular the word eventually became an adverb and people treated it like a normal way to behave. Have you ever wondered why? That’s when Netflix started just automatically starting a show when you finished one. You had to opt out of watching. Now, if you, like me and most humans, think you are hard working and fairly intelligent, you are wrong. Humans are incredibly lazy and easily manipulated. My favorite example of this is two countries that speak the same language, boarder each other, and have similar cultures, but one donates organs at a rate in the 80’s, while the other’s is in the 20’s. What is the difference? One auto enrolls you on your license, the other you have to opt in. That’s essentially 60% of the population that can’t be bothered to check a box, either way. Of course, the companies know these things. They don’t want you to have to back out of the episode and do the ‘work’ to watch the next. If all you have to do is sit, they’ll have you for hours. It’s called ‘removing the friction’. Another example of this is endless scroll. On sites like Reddit, there used to be pages, and you’d scroll down through maybe 20 items then hit the bottom of the page, then you had to click next page. They, and others, have removed this, so that you can scroll in perpetuity. I noticed this a few months ago with ‘new Reddit’. I didn’t know why, but I’d be reading/scrolling, then look up and an hour had past. After reading this book, I switched back to ‘old Reddit’ and deleted the app together from my phone. Alright, this has gone far too long for a regular review, but I find it endless fascinating. The book is littered with interesting/terrifying examples such as this. He also writes well, very quick and accessible for a professor. To keep it at a lay level, it becomes a little redundant at times, but I don’t think that is too negative. 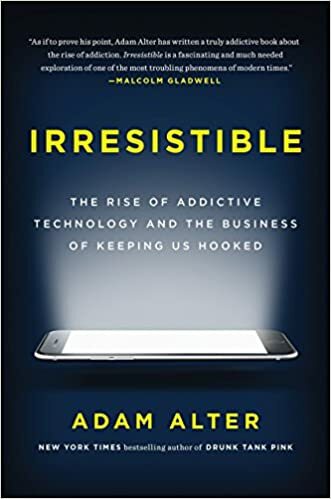 If you have any interest in behavioral addiction or the impact of technology on your life, you need to put this book on your list. As I recently posted, I beat my goal for 2018 in terms of number, but didn’t really read all the books I wanted to read. So much so, that I am going to straight up cute and past a good bit from last year’s goal. Once again this year, I plan to lower the number of books I plan to read, this is partly so I can make sure I get to the books I really want, and because some are fairly long, but also, and I may post about this a bit later, but I plan to interact more with each book. With that taken into account, my goal this year is 20 books this year. Non-fiction – Gödel, Escher, Bach: An Eternal Golden Braid , at 822 pages, this is the second biggest book on my list for this year and one of my top five life goal, big book, non-fiction books to pick up. As Sprout just turned four, I’ve added Einstein Never Used Flashcards: How Our Children Really Learn–and Why They Need to Play More and Memorize Less. Biography/autobiography – A Full Life: Reflections at Ninety was on my list the last two years, but I didn’t make it to it, so I’ll stick it back on this list. Fiction – After reading The Fall of Hyperion and Endymion (Hyperion) , the sequels to one of my favorite books from 2017, Hyperion , I plan to end the series this year with the final book in the Cantos, The Rise of Endymion (Hyperion) At 864 pages, Anna Karenina, will be my biggest book this year and the third longest single volume fiction book I’ve ever read. Rounding out the fiction section will be a collection of stories from one of my favorite authors, Stephen King, Just After Sunset: Stories. 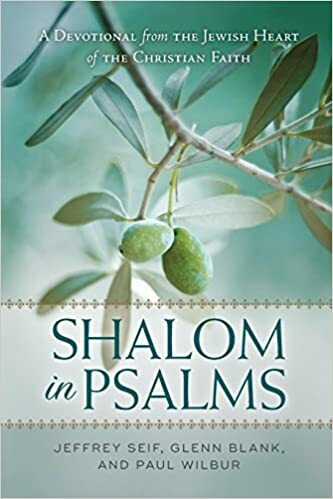 Christian-y type books – Only four books are planned in this category this year, though this categories tends to be the largest due to ARC books and loans from friends. Knowing God is a classic at this point, but I haven’t yet read it. Commentaries, Theology, and Language – Because two 800 page books won’t take me long enough, I’m also picking up two more 600+ page books. First, I want to get back into finishing Bavnick so I have Reformed Dogmatics, Vol. 3: Sin and Salvation in Christ , on the list with the ridiculous hope that I will actually make it to the even longer (912 pages) Volume Four. Second, my church is a doing a 40+ week study on Mark, so I’ve picked up The Gospel of Mark (The New International Greek Testament Commentary, and will likely skim the Tyndale and Bible Speaks today commentaries as well, but I don’t think I will count them towards the challenge. Finally, for something different in this new category I just made up, I’m attempting to gain an understanding of Biblical Greek. For that I’ve chosen Greek for the Rest of Us: Using Greek Tools Without Mastering Biblical Languages. None of the books in this category will be read all at once, but studied or read-through, throughout the year. I’ll use the commentary as we move through the sermons and go in and out of Reformed Dogmatics, probably after each major subject. I’m not entirely sure yet how to study the Greek, but likely either a few days a week for the year, or every day for a few weeks/months. Maybe there will be some guidance in the book itself. Devotional – I’ve typically read a whole year devotional, such as My Utmost for His Highest (my review), but this year I’m going back to the whole Bible with the M’Cheyne reading plan, which I’ve written about before. The Bible Tells Me So: Why Defending Scripture Has Made Us Unable to Read It looks like another great and challenging book from Peter Enns. Both Instruments in the Redeemer’s Hands: People in Need of Change Helping People in Need of Change (Resources for Changing Lives and Speaking Truth In Love are pretty well known in Christian Counseling circles, so I’d like to check them off the list. Stretch Goals – So, I have 14 books on the list, which leaves six others unplanned. These will most likely come from review request, a book someone lends me, or if one of the books on my long library list becomes available. However, if that doesn’t come through, and I finish the previous 13, I have a few other plans. One is to read another book on church history. I’m torn on what I’ve heard is the best in Christian history – Church History in Plain Language or I may start another 2,000 Years of Christ’s Power Vol. 1: The Age of the Early Church Fathers (Grace Publications), which is the first in a four volume series (I’d love to hear from anyone who has read either or has a suggestion as to which would be better). I’ve also had Five Views on Biblical Inerrancy on my list from 2017 and 2018, but also didn’t get to it. This book and the history one are obviously somewhat long, and can be dense, so another book I think I want to get to is The War of Art: Break Through the Blocks and Win Your Inner Creative Battles, which is a book I bought for Mrs. MMT a few years ago on the advice of MxPx front man Mike Herrera. Finally, as a pair, I was given a book that reviews a Christmas Carol from a Christian perspective, and as that is one of my favorite all time stories, I’ll read the story then the review together and then respond to both. That’s it. Hopefully I’ll tighten down and actually get to the ones I wanted this year. Feel free to share goals or insights on any of the books in the comments. I met my goal of 30 books this year. Actually, I surpassed it with 37 (that is 11,167 pages according to Goodreads, if you like that kind of thing). That being said, reading over what I wrote I wanted to read, I feel like I’ve failed. I had 13 book specifically listed, but only read six of them. I guess I’ll try to carry on those attempts next year. You can see my Goodreads 2018 Challenge page here, if you want them in list form. I said I was going to do less review books in 2018, but instead ended up doing 16, 13 of which were Baker, one was Crossway, and there were two new publishers I that had never sent me books before. That is probably the main reason I didn’t get to the actual books I wanted. It is interesting to ‘challenge’ yourself, when really it was supposed to be a list of books I wanted to read. Instead, it turned into a goal of reading X number of books. Also, I enjoy getting free books, but the more I requested, the less I enjoyed. I’ll have my 2019 Challenge up in a bit, but this year I want to focus on specific books, and will likely due far fewer review books, especially from Baker. My longest book, and an unexpected addition was The Stand. I added it because of the PBS Great American Novel contest. I also started taking Sprout the library every other Saturday, so I grabbed a few random books that I didn’t have on my shelf, all of which were non-fiction. I only read a few other novels and was short on fiction this year. I read three devotionals, where were all decent, but I really didn’t read any theologically intense books, something I plan to change in 2019. I also had a few commentaries on the list, which is something I’m unsure should count towards the challenge. Overall, the 2018 Challenge was a mixed-bag, I met my goal as far as numbers go, but didn’t really hit all the books I wanted. Oh well, as always, I’ll try to do better next time. I guess I shouldn’t be surprised to see Sapiens once again leading the pack (despite being published over two years ago), as it is led last year and is my all time viewed post since I discovered that WordPress gives me stats. As I’ve said since then, I’ll write a follow up soon. My second and final Biblical Studies Carnival was the only non book review post in the top 10 (one of only three in my top 25, my post on Trump and the Supreme Court was 17th this year, and the picture from my 10th Anniversary was 21st). Only four of the book review posts were actually written this year – We’re Pregnant, Believe Me, Practicing the King’s Economy, and Darkness is my Only Companion – inexplicably all coming in a row. So, that’s half of my top read being actually written in the year, I have no idea if that is common or not, but it sounds about right. The next five most popular actually written this year included the above two non book review posts and three book reviews – Fall of Hyperion, Astrophysics for People in a Hurry, and On Pills and Needles. By all reasonable logic, if I want this blog to grow (which I do), I should do more book reviews, however, as I’ll discuss in a few weeks with my reading goals, I will have less book review coming this year and plan to write on a few more random topics. One of my writings on Thessalonians came in at 34, while my Money in Marriage ranked 37. I’ll have more on this in a later post, but I plan to do more writing and less reading in 2019. So, that is it for 2018. I appreciate everyone who has read or commented on my posts. Thanks for playing along, I’ll try to do better next year.